The present - day Stobrec lies on a peninsula sprawling to the mainland. 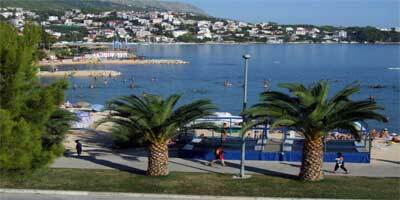 Surrounded by the sea with the population of 4000 and its accommodation facilities, it offers worthwhile excursions to the Mosor mountain and to the islands of Šolta and Brac. 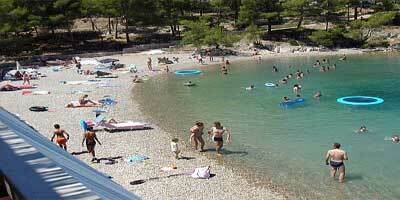 Nowadays Stobrec is a part of Split metropolitan area and 7 km far Diocletian's Palaca is within easy reach as well. A large number of restaurants display a varied choice of the traditional Dalmatian cuisine and beverages Water-oriented activities in summer and the beaches to everyone's liking guarantee a memorable pastime. The cultural scene offers a bouquet of enteraining chices from fols festivals perfomances. We hope your stay in our town will meet your expectations and make Stobrec your fun-filled destination.